HOUSTON – October 12, 2018 – Coats Rose is pleased to announce that Amy Verhulst, Senior Marketing Manager, has been elected to serve as President-Elect of the Legal Marketing Association Southwest Region for 2019. 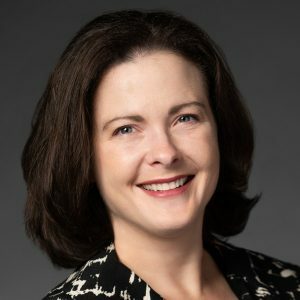 Verhulst has served in a number of leadership positions within the LMA organization, including LMA Southwest Region Director-At-Large – Communications/Technology, Texas Chapter Membership Chair, LMA International Membership Engagement Committee Co-Chair, LMA Texas Chapter Director -at-Large – Membership, and Local Leader of both the Austin and San Antonio Local Groups. She has been a member of LMA since 2005. Founded in 1985, LMA is the universal voice of the legal marketing profession, a forum that brings together CMOs and entry-level specialists from firms of all sizes, consultants and vendors, lawyers, marketers from other professions and marketing students to share their collective knowledge. More than 90 percent of the largest 200 U.S. law firms employ an LMA member. Members at every stage in their career development benefit from LMA participation because the association’s broad array of programs and services can be tailored to their specific needs. Visit www.legalmarketing.org to read more about LMA.